Suitable for those who are personally experiencing bereavement. Grief is a natural response to the ongoing loss we experience when someone close to us dies. In this retreat, using meditation and reflections, we will explore ways to be with our sorrow and to understand change and impermanence. The shock of separation and bereavement is often accompanied by feelings of intense sadness, distress or anger. Although we will never forget, we can heal the pain of grief. This workshop is not recommended for those whose loss is less than three months old or for anyone who might be pregnant. ‘Facing Loss, Healing Grief’ is a regular and well-attended feature of our programme. Places are restricted, so please book early. You can sit on a chair or on a zafu cushion on the floor, wherever you are comfortable. None of the sessions involve difficult postures or complicated techniques. The retreat will be held in the Spiritual Care Centre meditation room, a bright ecumenical space with beautiful views. Rooms are reserved for participants in the Care Centre and our holiday cottages providing a safe and supportive rest place for those attending this workshop. Participants are advised against staying in the hostel for this event. Participants often choose to spend more time in this supportive environment by arriving a few days earlier, or staying a little longer to get the most out of the weekend. Please contact care@dzogchenbeara.org to discuss flexible payment options or to request assistance from our spiritual care bursary fund. A list of hostels and B&B’s in the nearby area can be downloaded here. 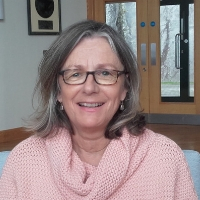 Bernie Jeffery is an accredited member of The Irish Association of Counselling and Psychotherapy who works in private practice and with individuals and groups through the work of The Social and Health Education Project. Her background is in nursing and midwifery. She also trained in Therapeutic Massage. For several years she has co-facilitated Rigpa Meditation courses in Cork and she is an Educator in the Spiritual Care Education Programme. She is also a founder member of Educate Together National School in Cork. John Douglas first became interested in Buddhist Meditation in 1990 and moved to West Cork in 1994 to become part of the Dzogchen Beara community. 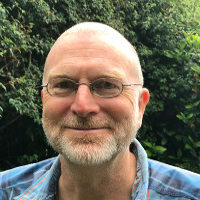 As a Senior Meditation Instructor and Spiritual Care Educator, John is one of Dzogchen Beara’s main facilitators on a range of courses and workshops including Facing Loss and Healing Grief, Deep Listening, Self Compassion and Healing Relationships. John is also a qualified Psychotherapist and is a pre-accredited member of the IACP working in private practice as a Counsellor in Castletownbere and in ARC Cancer Support House in Bantry, as well as being part of the care team supporting guests at the Care Centre in Dzogchen Beara.